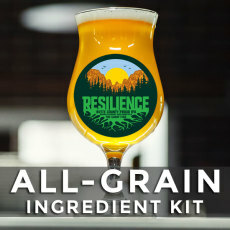 Resilience IPA Beer Kits for Sale! The Camp Fire - the most devastating wildfire in California's history–has hit close to home for Sierra Nevada Brewing Co. While the Chico brewery was spared, many of Sierra Nevada's employees, patrons and neighbors lost everything as the Camp Fire ravaged northern Californian. 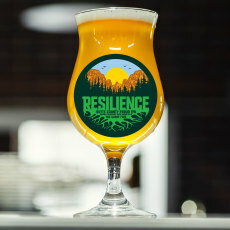 To help raise much needed support for the recovery efforts, Sierra Nevada has created a beer called Resilience IPA! To do our part in supporting this great cause, Great Fermentations has created a kit matching the original Sierra Nevada recipe. All net proceeds of our sales of this kit will go to the Sierra Nevada Camp Fire Relief Fund through Golden Valley Community Bank Foundation. Do your part, and brew this great beer while supporting a great cause! Brew the same beer that Sierra Nevada and 1,000 other breweries across the country brewed to support the Camp Fire relief fund! To date, Great Fermentations has helped raise over $2,000 with the sale of these kits; all thanks to homebrewers like you! Our main fund raising drive has ended, but we will continue to donate $10 for each Resilience kit sold towards the Camp Fire relief fund! Brew a great beer while supporting a great cause. A win-win!